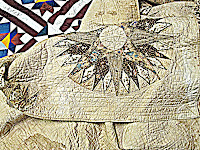 Crazy quilting is a genre of quilting that comes and goes. Fortunately the style is really adaptable.If you know a bit about textile history, you might characterize crazies primarily as High Victorian needlework (1860-1900). You'd think dramatic colors of silk patches all embellished with fancy stitching. 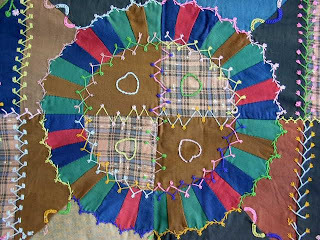 While Victorian crazies certainly are the best known example of the crazy quilt type, crazies occur in other times, made from materials other than silk, and may--or may not-showcase embroidery. 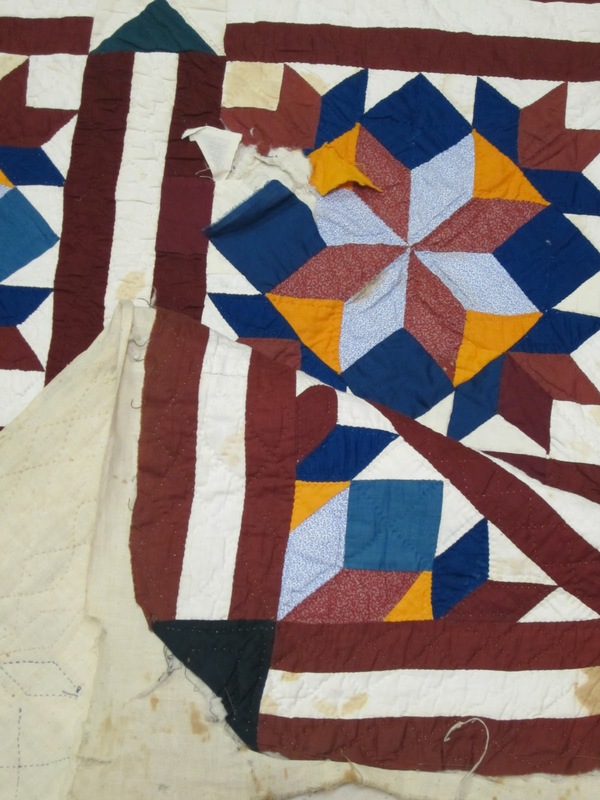 Americans in particular adapted the crazy method (random patches sewn over a backing) and recycled wools, blankets, old military uniforms, men's pants, and suiting samples into heavier quilts which were often tied rather than quilted. Call these 'country crazies.' Embroidery when done on wool crazy quilts could be quite bold and women found their inspiration everywhere. Even redwork transfers, available through mail order or in magazines, crossed over into crazy territory. Threads used varied from thin wool yarns to silk floss to perle cottons. 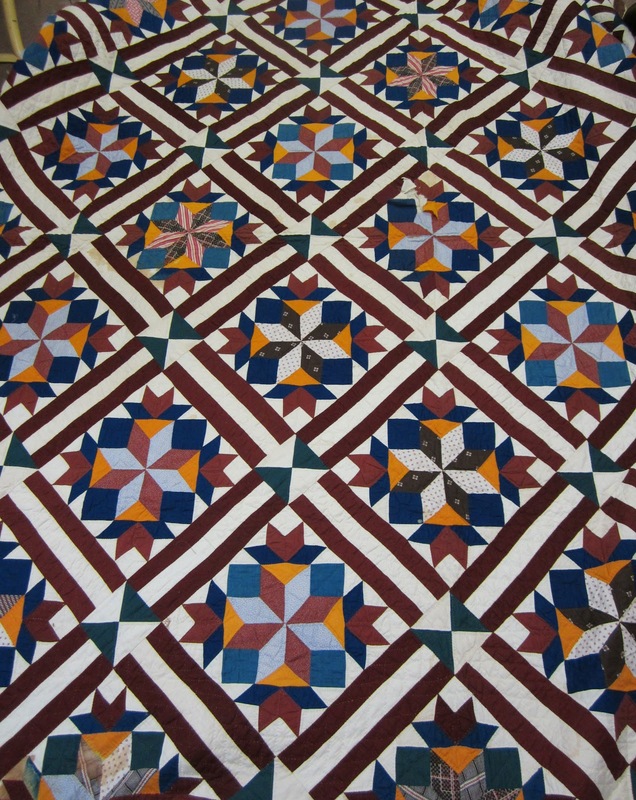 While textile historians speculate as to the exact root of crazy quilting, we can't discount the influence of the Arts and Crafts movement (called the Aesthetic Style in England) that produced all manner of quasi-oriental home furnishings, decor, and dress after the Civil War. Or maybe its genesis was the Philadelphia Exposition of 1876 when many Americans saw Oriental ceramics for the first time. 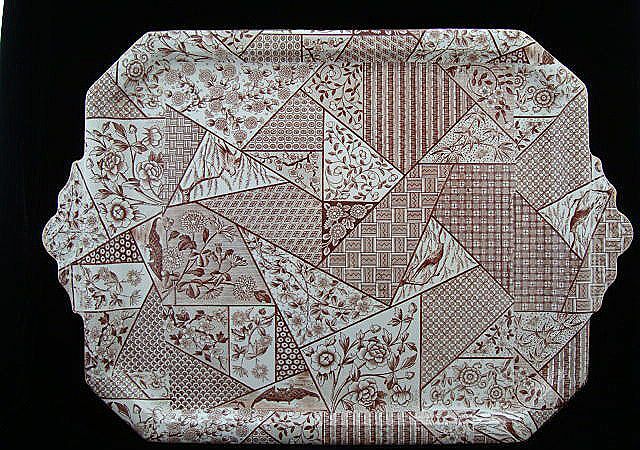 Don't tell me this platter from1878 is not in the crazy quilt style! 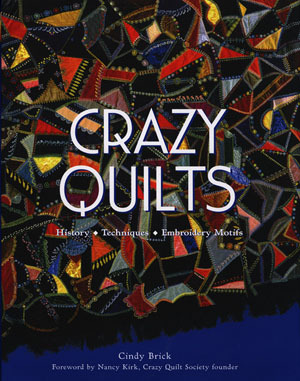 Cindy Brick's book on crazy quilts is a must-have if you want to study this slightly off-beat branch of quilting. I'd recommend the hardback version since it makes a lovely coffee table book. http://cindybrick.com/ Order it directly from her and she might even autograph it for you! It's been yonks (translation: a v-e-r-y long time) since I purposefully added any quilts to my collection but last weekend I bought a quilt and it's a beaut. 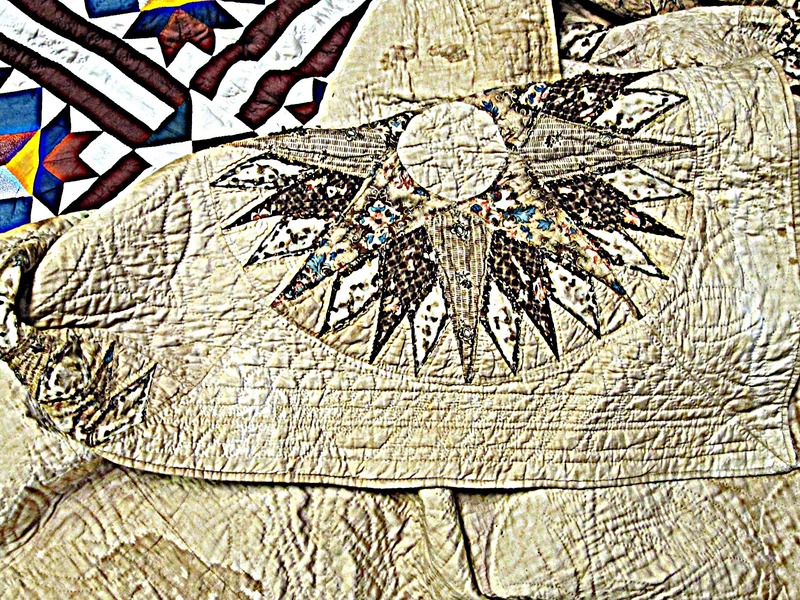 And then re-remembered I'd found another old quilt at a local flea market some months back that merited some pictures too. The flea market find is first and it's a mystery. 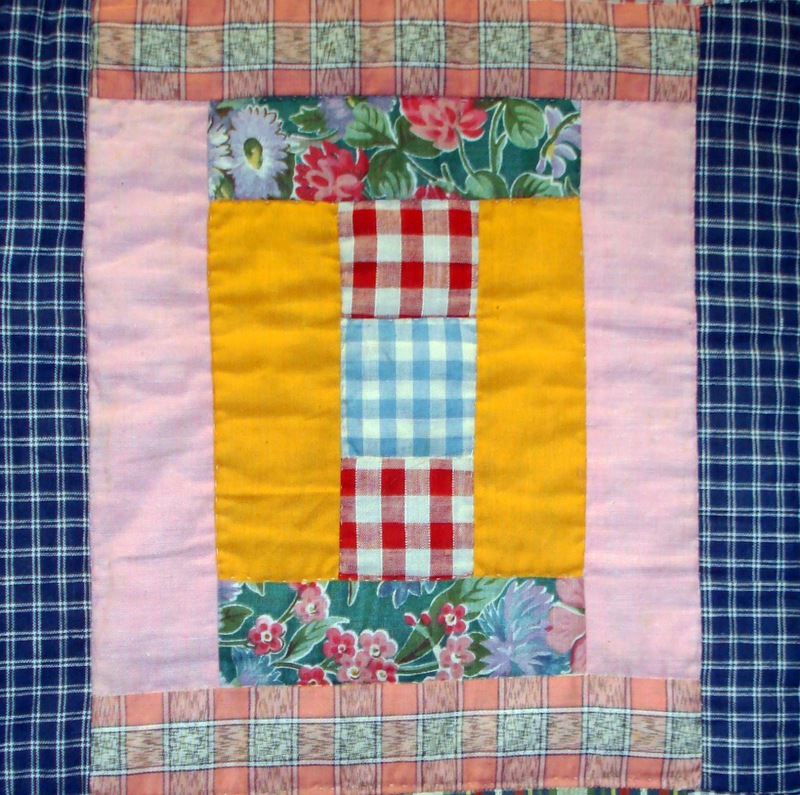 The quilt was hanging from the rafters of a pole barn at the flea market. Dusty, dirty, crumbling--all of the above. But it was still worth the $10 being asked and already I've had many times over the enjoyment of the piece. 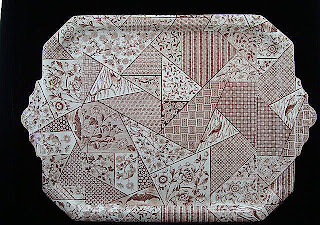 The pattern is a Mariner's Compass variation, in shredding pre-1860 chintzes, on a formerly white ground. The quilting is magnificent--about 14-16 stitches per inch. 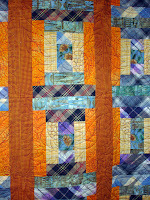 The quilt is huge--about 90" by 88". The large size is a tip-off from antebellum quilts and this one was made as a show piece by a show-off seamstress. 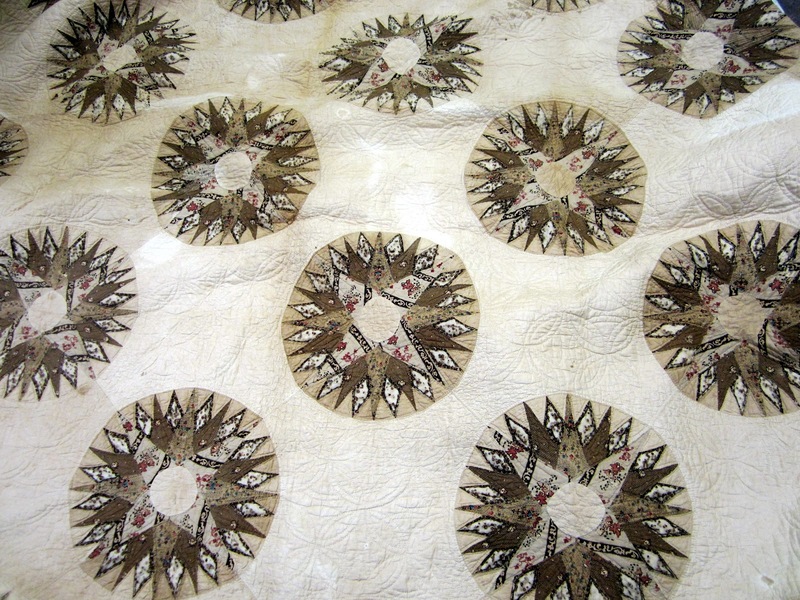 For some reason, 19th century North Carolina quiltmakers were fond of piecing, rather than using an applique technique, for large circular patterns. It must have been a bugger to draft. 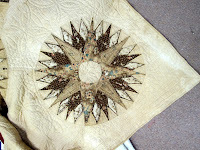 No short-cut applique here--the whole thing is pieced! (first line) Isabella Wadsworth (second line) LO___N followed by March 16 18_9. It's a mystery with a few clues. What we know: Isabella must have been wealthy enough to afford nice fabrics. The quilt is large, as in made for a wedding gift. The stitches are superb--this was NOT Isabella's first quilt. She was proud enough to sign the quilt--a rather rare gesture unless the occasion was worth remembering (see wedding quilt above). Is it a North Carolina quilt? Or perhaps Virginia? I monkeyed with the picture to try and bring up the lettering with only limited success. My apologies. The second quilt is definitely a North Carolina quilt and will be a repair/restore project. Bought in Smithfield, NC, the quilt was likely made around 1900. 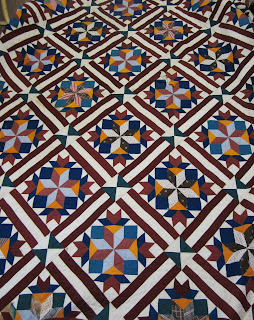 The pattern is some sort of eight-pointed star. 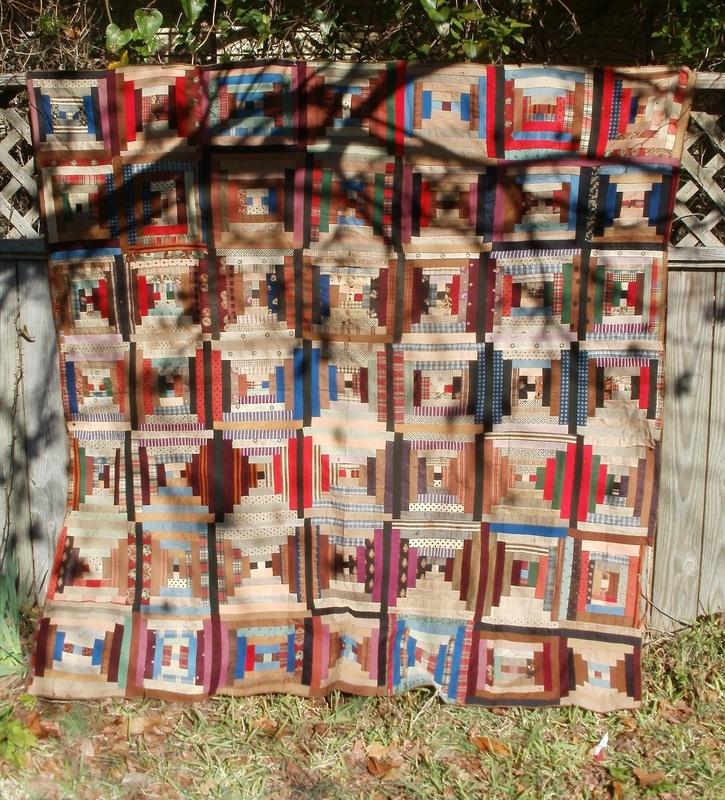 The cheddar-teal green-marine blue-oxblood brown combo, plus its triple-strip sashing, is almost a trade-mark of late 19th-early 20th century North Carolina quilts. A few patterned shirtings could be 1890-1910. The quilt is incredibly white and bright. Evidently the quiltmaker finished the quilting (whew! ), took it off the frame, and stored it away unbound. A mouse got into it and did some damage over the years and likely the oils in raw lumber helped make the darker stains. I don't care--I love this quilt. It will be worth the time and/or money to get it restored. And yes, I will bind it and finally, a century later, finish the quilt. 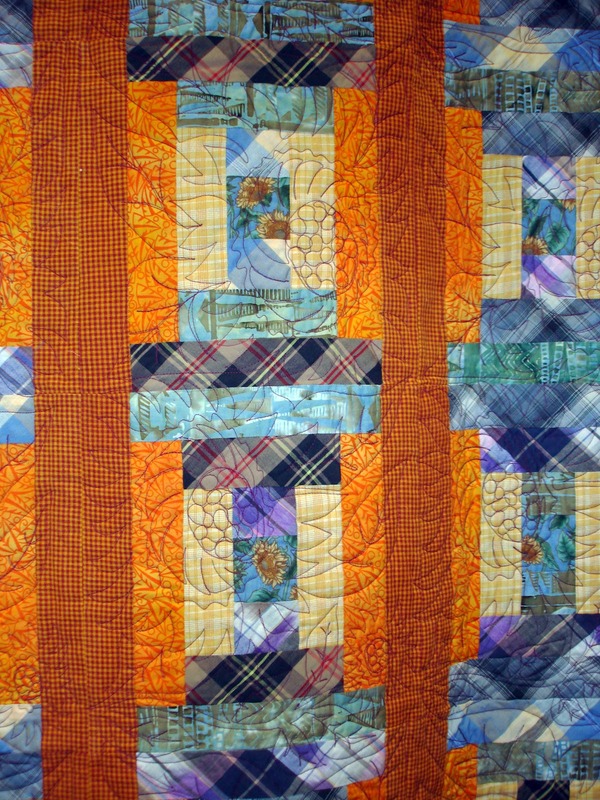 Sometimes quilts come from out of the blue. Once I found one stuffed in a garbage bag on my porch with a cryptic note: "Give it a good home" and nothing else. Over the years the back storage room has morphed into a retirement home for strange and sometimes slightly tatty quilts. But sometimes the orphan quilts are lovely and I cannot understand why but their owners don't have room. On occasion, the exchange is almost a drive-by quilting, as in, the quilt is shoved out the door and the driver waves as she exits the scene. Sometimes guilt is the motivating factor when quilts come to live with me. "I never use this quilt and I feel bad about it," is one such rationalization. This autumn my friend Sarah wanted to share with me a quilt top she'd had in storage for a long time. 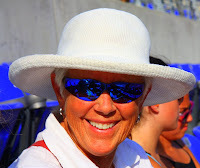 She explained that she'd bought it at an antique shop in Easton, Maryland many years before and always intended to do something with it and wanted some inspiration and advice as to how to proceed. I photographed the quilt against the fence in back of the studio on a sunny day. 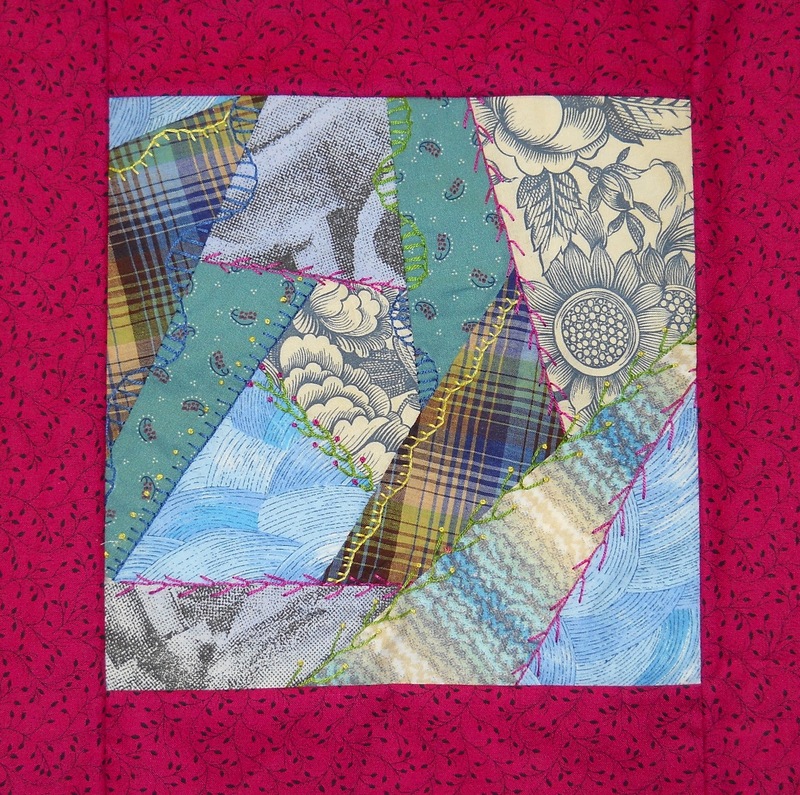 Sarah's quilt is a typical late-19th century variation on the Log Cabin pattern. When sewn with opposing light/dark strips, the pattern is called Courthouse Steps. A lot of the fragile fabrics are wool or wool/silk blends and when handled, you could feel and almost hear the fabrics wanting to tear. Other strips had been moth-nibbled. 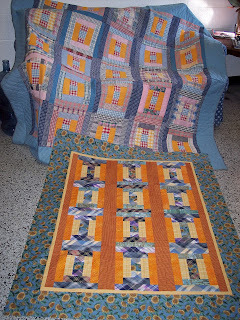 But the colors in the quilt are still amazingly bright for being 125 years old. I explained to her that she had a quilt top, in very tenuous condition, and that it likely couldn't be restored plus I wouldn't advise finishing it because the quilt's condition would continue to deteriorate no matter what she did. Since Sarah lives on a sailboat and must make good use of all her interior living space, she handed the quilt to me with a big smile. Isn't it great to have friends? While on the Courthouse Steps kick, here are some pictures of two others in the collection. The older quilt above is an ebay find from the state of Texas. I don't think it was ever used. Funny how there's only a wee bit of flowered calico in one block. 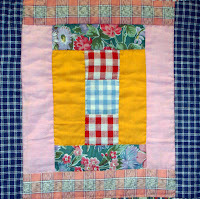 Makes me wonder if the quilt might not have been made for a man (all those plaids) and that little flowerdy part a feminine signature. 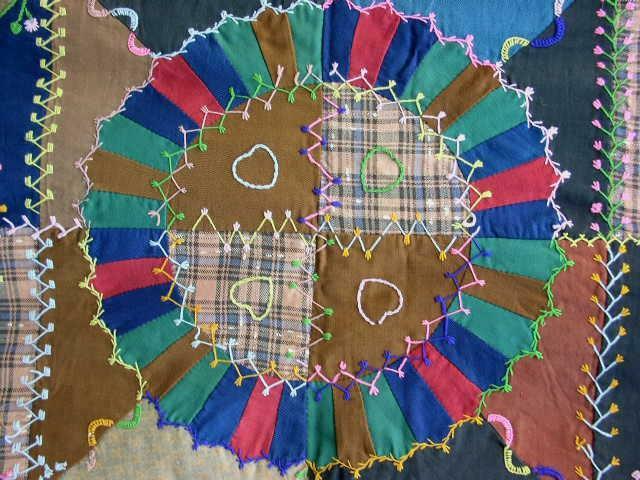 The little quilt is a wall hanging I made in memory of my father-in-law Peter Magyar who always wore plaid shirts. The plaid fabrics are indeed cut from his shirts.